The Jazzy Select delivers superb close-quarter maneuverability, sleek styling and high-performance technology all at a great value. 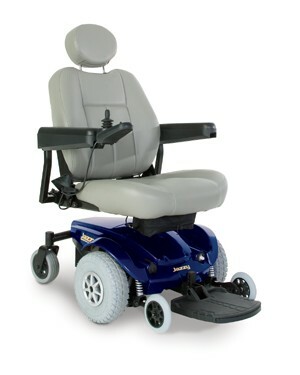 This upgraded model has all the great features of the larger Jazzy's, such as Active-Trac suspension, new easy side access to batteries, 30% greater per charge range and dual in-line motors for enhanced efficiency, torque, and performance. The Select also features the new 40 amp PG Select remote controller and tool-less front panel access to electronics to minimize service time. The battery charger is mounted under the seat for easy access to charging and can be used as an off-board or on-board charging system. Available in Jet Red (shown above) and Electric Blue. 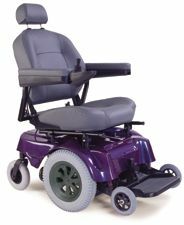 Patented dual in-line motors and mid-wheel drive design provides outstanding maneuverability. 10" drive wheels and optimum weight distribution offer superior traction.